Graham Donley was amongst the first members of Cavaliers, joining the club in its founding year of 1955. Three months later, he was already coaching, and went on to become a Senior Instructor. In all, his membership to the club lasted 27 years, and in that time he worked tirelessly for the club in committee positions such as Club Captain, President, Vice President, Equipment Officer, and Club Delegate at the (then) WAAFA. His contributions to the club were recognised in 1968 when he was given Life Membership. Throughout his fencing career, Graham also spent much of his time working for WAAFA, developing and promoting the sport of fencing in Western Australia. Graham held state positions including President, Vice President, and State Coach during that time. He was granted Life Membership to WAAFA in 1976. Although formally retiring from the club in 1982, Graham continued helping out behind the scenes. Most notably, and until quite recently, you would find Graham working on the armourer team at every national competition in Perth, testing weapons and equipment to ensure they were fit for the tournament. George started fencing in 1951 at the Perth Amateur Fencing Club, and remained there as equipment officer, armourer, and instructor until the club closed in 1961. He transferred to Cavaliers at this time, and found his place in the club as the equipment officer and armourer. 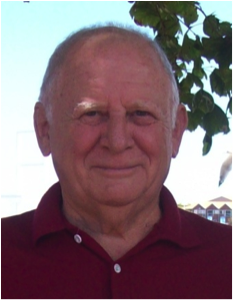 George has also played a significant role in the greater fencing community in WA. He helped Jack Yates and Terry Dean form the Postal Institute fencing club in 1961 (now defunct) as well as helping establish The Musketeers Fencing Club in 1976 (now defunct). He also assisted with the armoury for the British Empire and Commonwealth Games in 1962, the XVIIth Australian Amateur Fencing Championships in 1965, and AFF tournaments in 2003, 2005, 2006, and 2007. In the mid-2000s, George also pulled many ex-fencers out of retirement and formed an Armourer’s Team to service national competitions in Perth. George’s contribution to fencing in WA and to the club was recognised in 1995 when he received Life Membership. George also received the Australian Sports Medal in 2000. Today George is retired from fencing, but he has inspired the interest in many of the fencing armourers and equipment officers around today. Trevor was born in Sheffield, England, and first started to fence when attending the Nautical College Pangbourne, entering his first open competition in 1947 where he developed a thirst for competing and love of the sport. This continued after joining the Royal Navy, where he fenced for the Royal Naval College Dartmouth. After his decision to train as a fighter pilot on a front-line squadron on the Ark Royal, Trevor’s fencing career took a backseat to his naval career, but he still won the Royal Navy Epee in both 1955 and 1959. After his appointment to Singapore in 1963, Trevor did not fence again until his retirement from the Navy and settlement in Western Australia. It was at this time when Trevor first joined Cavaliers. Although never reaching the championship level of his earlier days, Trevor was still a force to be reckoned with in the club. He took on many commitments as a member of Cavaliers, playing an important role in the development of both the club and state fencing. 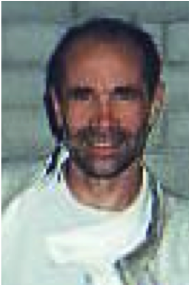 Trevor also held many committee positions including State President, Vice President, Secretary and Treasurer, as well as National Vice President for the (then) AAFF. Trevor was unwavering in his belief that without stronger financial input from the government, fencing in Western Australia would never progress to its full potential, and it was his dream to see better financial support for this sport to become a reality. 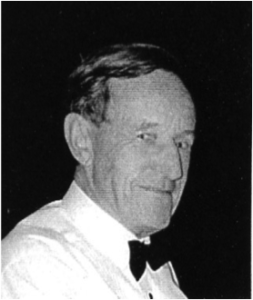 Trevor’s continuous support of the club over a span of fifty-one years was recognised in 1995 when he received Life Membership to the club. 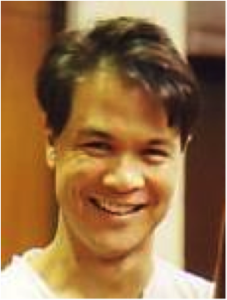 Other recognitions to his contribution to the sport of fencing include Life Membership to the (then) WAFA in 1997 and receiving an Australian Sports Medal in 2000. Trevor passed away on the 18th March 2011, but the memory of this gentleman of fierce competition will always be remembered by the club. Mahmud first took to fencing at the age of 11 when he joined Cavaliers with his brother, Rashid. The two showed promise at an early age, and Mahmud, a keen foilist, became dominant in the weapon, holding State and National titles from the age of 13 years, continuing into the Veteran category. Mahmud was significantly influenced by the coaching expertise of Barry Wasley, and it was a promise to him that fired the determination in Mahmud to keep Cavaliers operating during the decline of WA fencing in the 1990s. Mahmud single-handedly kept the club together, leading a small group of 12-15 fencers through footwork, coaching, and bouting, without the access to professional coaching services or support from the Department of Sport and Recreation. If not for Mahmud’s tireless efforts, Cavaliers, and perhaps even fencing in WA, would not exist today. Help finally arrived in 1995 with the re-establishment of the (then) WAAFA. Since then, Mahmud has worked tirelessly to promote the sport, and has held state committee positions including President, Treasurer, and State Delegate to the AFF Board. In Cavaliers, Mahmud has held various positions, including Treasurer and Head Coach. Mahmud has also worked closely with the Ministry of Sport and Recreation to obtain funding for visiting coaches, been instrumental in establishing links between FencingWA and the AFF, and still continues to work behind the scenes of fencing in WA. Mahmud’s exceptional commitment to the club was recognised in 2000 when he received Life Membership. 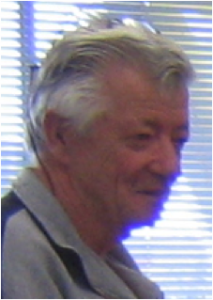 Other honours bestowed upon him include Life Membership of the (then) WAFA in 2008, winning the Valued Volunteer Award in the City of Stirling in 2011, receiving the Diamond Club Award at the 60th anniversary of the club in 2015, and receiving the AFF Robyn Chaplin OAM Award for Services to Fencing in 2015. Mahmud continues to set the highest example of the value of volunteer commitment to club members to this day, and has been the stepping stone to an array of young coaches. Gillian first attended Cavaliers in 1993 when her three children started fencing. Although never a fencer herself, she found her strength in committee work for the club. A year later, she took on the joint role of Secretary and Registrar, working with Mahmud Jaffar in an effort to rebuild the club. The next year, in 1995, she was also elected as Secretary and Registrar for WAAFA (now known as FencingWA), working alongside Nigel Nutt, Mahmud, and Neil Herzog to re-establish fencing in Western Australia. Over the next few years, Gillian oversaw a frenzied growth of fencing in WA, both at a state level and within the club itself. Some of her duties at a state level, above and beyond usual secretarial and registrar duties, included implementing a policy of affiliation of all FencingWA members to the AFF, working closely with the DSR and Sports Medicine, keeping the inventory of state trophies, arranging travel and itineraries for visiting interstate and overseas coaches, and managing the fencing camps at Araluen. In the club, Gillian implemented and maintained a policy of 100% affiliation of club members to FencingWA, a policy that remains today, and oversaw the club at its peak of 110 members in 2004. With the (little!) free time she had, Gillian also edited two (now defunct) fencing publications; ‘The Fencer’, the magazine of the club, and the ‘WAFA Waffle’, the official state magazine. It is no surprise that Gillian’s contribution to the sport of fencing have been recognised on numerous occasions. She received Life Membership from the club in 2001 as well as the Diamond Club Award at the 60th anniversary of the club in 2015. Gillian also received life membership to FencingWA and an AFF Excellence Award for Outstanding Service. Although resigning from state duties in 2000 and club duties in 2013, Gillian still offers assistance in minor roles and is often called upon for her wisdom and knowledge in the busy world of fencing behind-the-scenes. Gerald moved to Perth from country WA in 1980 to pursue university studies, and took up fencing at the age of 23 years. Five years later, he moved to London to further his chances of more advanced training as he took to the sport quickly. In London, he trained under the National British Coach Ziemek Wojciechowski and attended his first World Championships in Bulgaria in 1986, and then every World Championships from then on, except for the Olympic Years. His world ranking reached as high as 85 in 1994. However, the highlight of Gerald’s fencing career was his selection for the Sydney 2000 Olympics. He is the only Western Australian to reach an Olympic Selection in fencing. Although retiring from top level competing in 2000, Gerald has always acknowledged his associations with WA and has joined in the fencing community here socially as much as possible during trips to Perth. Gerald has set high standards in the qualities of determination, endurance, and professional conduct in the sport, and is an inspiration for aspiring young fencers. Gerald’s contribution to the sport of fencing was recognised by the club in 2001 when he received Life Membership. After joining the club in 1996, Catherine, with her undaunting energy and a strong sense of discipline, propelled her way into the ranks of WA’s top women fencers in a very short time. Her debut National competition in 1998 saw her placed in the top 16 in the country – the best placed of WA’s women. She even won her bout over Australia’s top-ranked fencer and world number 20 at the time, Evelyn Halls. As the sport was largely dominated by NSW and Victoria for decades at this point of time, Catherine’s contribution to WA placing fourth overall in the tournament was significant. Off the piste, Catherine put many hours back into the sport through volunteering. She became a Level 1 Coach taking on the bulk of the Junior coaching by the early 2000s. Catherine also took on the role of President from 1999 to 2003 and again in 2005 during a period of great change in direction for the club. 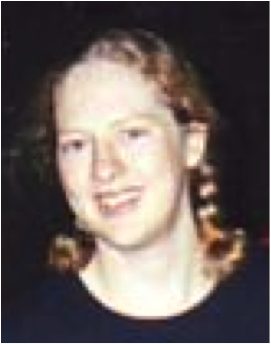 In 2000, she coordinated the move to Edith Cowan University to provide a larger and more modern venue for the club. With a rapidly increasing membership, this provided a much-needed opportunity for advancement in coaching strategies and for competition-hosting for both the club and the state. Catherine also instigated an ‘overhaul’ and modernisation of club equipment and installed improved storage facilities along with an updated program for equipment purchase and maintenance. Although today retired from the club, Catherine will be most remembered for her unfailing energy and her positive personality which made its mark across the membership. Her influence on club camaraderie has endured these years, and can be found in the friendly atmosphere of the club today. 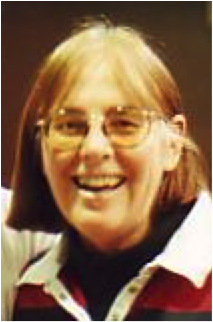 Her success in fencing and her contribution to the club was recognised in 2004 when she received Life Membership. Neil first came to the club in 1996 and became a keen competitor in all three weapons- such is his love for the sport! Within a year of starting, Neil was qualified as a Level 1 coach and was assisting in club coaching. Since these humble beginnings, he has been constantly and directly involved in almost every aspect of the sport. Within the club, Neil has taken on both the role of Treasurer and Equipment Officer. He undertook the huge job of updating the old equipment in the late 1990s and early 2000s. Thanks to his efforts, the club replaced the old half-bib vests and steam foils to a modern collection of new electrical equipment. It is thanks to his effort that the club can so readily access electrical equipment today. At a state level, Neil has filled the roles of both Tournament Director and President. When he first became Tournament Director in 1998, Neil upgraded the system of tournaments to bring them up to a national standard with the use of a computerised ranking system. For the first time, all affiliated members had access to their ranking details at any given time. Neil also helped to reinstate the annual awards ceremony with the presentation of medals and trophies. He also introduced basic dress and weapon standards to state competitions. At the end of 1999, Neil became the state President, and was responsible for making remarkable progress with DSR to secure the first serious program for government funding for the sport in WA. Neil resigned as President in 2004 to take up a position as an AFF Board Member. His responsibilities included the drawing up of policies for national fencing, which ultimately affected all fencers across Australia. Today, Neil still attends the club regularly, and continues to help out with running the Beginners’ Course. His knowledge in all three weapons makes him the perfect expert for this! Neil’s significant contributions to the sport of fencing in WA were recognised in 2006 when he received Life Membership to FencingWA. His contributions to our club were recognised at the Club’s 60th Anniversary Dinner in 2015 when he received Life Membership to the club. Mike first came to the club in 2003 when both he and his younger son James took up fencing. Although James didn’t continue with the sport, Mike certainly did, becoming fully involved in the running of the club and devoting many hours of his times to various aspects, particularly coaching. After gaining his Level 1 Foil Coaching accreditation in 2007, Mike specialised in coaching the beginners’ courses. The success of these courses is largely attributed to Mike’s patient and encouraging mentoring and passion, skills he has passed on to other beginner coaches when training them. 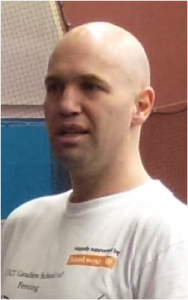 Other coaching roles which Mike undertook included Head Coach and Coaching Coordinator in 2010 and 2011, as well as the Bladez Coach. Outside of coaching, Mike served the club in other roles, including Treasurer in 2006, FencingWA Representative in 2012, and both Vice President and president in 2013. Whilst performing duties as the FencingWA Representative, Mike put in huge efforts to address the issues of the lack of training courses in WA for potential coaches. When not volunteering for the club, Mike was a devoted epeeist, and particularly enjoyed the very special brand of comradeship found amongst the veterans of the club. He was always a social person, engaging both new and old members with his enthusiasm for the sport. Mike’s contribution to the club were recognised in 2015 when he was given Life Membership. He had previously been recognised by the City of Stirling in 2011 as a Valued Volunteer. Sadly, Mike passed away suddenly in 2016, but the memory of his dedication to coaching and his gentlemanly approach to the sport lives on in the club. Peter took up fencing as a school boy whilst attending the Kings Canterbury Private School in England. He excelled at the sport from an early age, and was successful to the point of trying out for Olympic selection, which he unfortunately did not make. Peter eventually found himself in Australia in 1957 to work as a Jackaroo. Although he continued fencing for a short while in Wagga Wagga, he soon gave up the sport. Much later, Peter decided to make a return to the sport at the age of 68, primarily to spend more time with his son Piers, who had taken up fencing at the club. Fortunately for the two, Piers enjoyed the sport enough to stay on and even become a coach. This allowed Peter the chance to return to competitive fencing in the Veterans category. Some of Peter’s various competing achievements included first place in the Vets 70’s Foil and Sabre in the 2004 Adelaide Nationals, first place in the Vets 70’s in all three weapons in the 2005 Perth Nationals, and competing in the 2014 Commonwealth Games in Glasgow. At the time of attending the Commonwealth Games, at the sprightly age of 81, Peter was assumed to be the oldest competitive fencer in the Southern Hemisphere, but was surprised to find one fencer older than him at the games. However, Peter contributed far more to the sport than his impressive fencing achievements. At a State level, he served at the Vice President for three years, and worked tirelessly for increased promotion of Veteran fencing, particularly through media. He also strongly encouraged exchange between South-East Asia and WA, and was a team member of the first Australians to compete at the Japanese Veteran Championships in 2010. Peter had fierce loyalty to the club, as shown by his regular attendance and support of social functions and fencing demonstrations. In fact, Peter organised several public demonstrations of fencing at York, where he managed the Motor Museum. Peter bought a level of chivalry to the club that only a true English gentleman could achieve. Peter’s on-going contributions to the club were recognised at its 60th Anniversary Dinner where he received Life Membership. Sadly, Peter passed away peacefully after a short illness in February 2016, but still had intentions of fencing in his 83rd year. Peter’s love of the sport, fierce competitiveness, and fair approach is fondly remembered by club members today. Seymour, better known by his alias D’Artagnan, first joined the club in 1998 after his 60th birthday with a desire to live out his life-long fantasy of duelling and acts of chivalry. He had recently broken his ankle in four places and, while watching an Errol Flynn film during his recovery, decided that his new-found challenge would be the Cavalier School of Fencing. Upon becoming a member of the club, he instantly set about reviving and maintain the age-old standards of chivalry and romance properly attributed to the sport of fencing. He is known as the originator of the club’s Defenders of the Realm, an order which bestows upon its members the responsibility of loyalty, honour, and protection of the club. D’Artagnan started as a right-hander foil but eventually moved from one hand to the other, and from foil to sabre, which he claims is better suited to his ‘impatient temperament’. No matter the weapon he fences, D’Artagnan feels the excitement and surge of adrenaline in every bout, regardless of the outcome! Ever since his first year of membership, D’Artagnan has played a key role in giving the club its unique personality. He has provided the club with a dimension of history and ‘reason for being’, as well as many years of loyalty. Apart from helping to bring the club together, D’Artagnan has also had several key roles in the smooth running of the club, including as club librarian and FencingWA representative for the past four years. Much of D’Artagnan’s impressive collection of paintings, figurines, and swords was borrowed to set the mood at the club’s 60th Anniversary. D’Artagnan’s consistent loyalty and participation in the club at all levels was recognised in 2015 when he was given Life Membership. Kylie first joined the club in 1999, initially taking foil as her weapon before discovering her love of epee. A regular contestant at both local and national tournaments, Kylie has enjoyed excellent results in both national and state competitions. During the mid-2000s, Kylie took over the training of what was then known as the Intermediate Group; a mixed group of three weapons and various skill levels. Her efforts led to both the improved fitness of the group as a whole and a general ‘smartening up’ of the group- some of the younger fencers of the club can remember her quick and direct punishments of the past! In 2003, Kylie also held the position of state Treasurer for two years, playing a vital role in raising money for the first of the recent nationals to be held in Perth. Kylie is also responsible for setting up the regular Club Handicap Competitions. These have been instrumental in providing club fencers with an opportunity for competition practice, providing an introductory pathway to competition for new fencers, and providing the opportunity for the much-needed inter-club competition and social interaction. These competitions have also allowed numerous club members to learn how to run competitions, including the use of specific computer software. To this day, Kylie remains a staunch club member and committed volunteer. She never hesitates to volunteer her time and effort to community events in which fencing can be promoted, such as the French Festival and Medieval Festival. Always a strong presence at the club, Kylie continues to devote herself to Cavaliers and the sport of fencing today. As such, her contributions to the club were recognised in 2017 when she received Life Membership. Written by Gillian Kings-Lynne. Arranged by Sarah Meredith in 2017.